Dr. Paul Terry is a Senior Fellow at HERO where he collaborates with HERO members and national experts in planning learning events and supports the HERO team in organizing the annual forum, think tanks and webinars. Terry preceded Karen Moseley as HERO’s president. Before HERO, Terry was president and CEO at StayWell Health Management and before StayWell, Paul served as president and CEO at The Park Nicollet Institute. He earned his Ph.D. from the University of Minnesota and his Masters from Minnesota State University at Mankato where he was honored with the Distinguished Alumni Humanitarian Award. Terry is Editor-in-Chief of the American Journal of Health Promotion and is a Past-President of the Minnesota Public Health Association. He serves on advisory councils for The National Academy of Sciences, the American Heart Association, the Harvard T.H. Chan School of Public Health and the University of North Carolina, Gillings School of Global Public Health. Prevention programs that Dr. Terry developed won the C. Everett Koop National Health Award. Alongside his wife Gail and his children Anna and Will, Paul loves rowing, windsurfing, sailing, kayaking, camping, hiking, biking and x-country skiing. Dr. Jessica Grossmeier is Vice President of Research at HERO, where she oversees the direction and execution of the HERO research agenda. This includes providing research expertise and consultation to HERO study committees, serving as HERO’s research liaison to external contractors and study collaborators, and serving as Principal Investigator for HERO-sponsored research studies. Prior to joining HERO, Grossmeier served a variety of research roles which included oversight of research on best practices and outcomes associated with workplace health and well-being programs. She also has served in academic research and teaching roles at the University of Minnesota and the University of Phoenix. 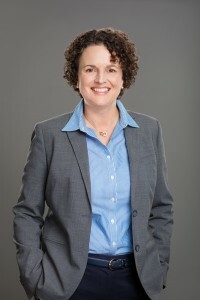 As a workplace health promotion thought leader with 25 years of experience advancing individual and population health, she has contributed to more than 50 published papers and regularly presents at national industry conferences. She enjoys contributing to the field by mentoring emerging leaders, serving as a judge for industry award programs, serving in advisory or board roles and as Co-Editor of The Art of Health Promotion, the practitioner section of the American Journal of Health Promotion. Mary is the membership manager and research associate for HERO. As the membership manager, she is the point of contact for all HERO members. Mary’s research associate role engages her in HERO research committees and HERO-sponsored research projects. Mary received her PhD in human bioenergetics from Ball State University with a primary focus in clinical exercise physiology. She has been fortunate to author and co-author several peer-reviewed publications in this area, as well as present her research findings at the national level including the AHA, ACSM, and AACVPR conferences. She is an advocate for exercise as medicine, and to stay healthy and fit Mary runs and has most recently ventured into trail running since her move to Portland, Oregon. Pat Rohner joined HERO in 2009 as the Director of Marketing. 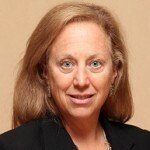 Pat has had varied responsibilities over her tenure with HERO such as managing the HERO Forum, HERO’s annual conference and the HERO Scorecard. She also helped create and manage the Scorecard Preferred Provider Network. Prior to joining HERO, Pat spent a decade as the Director of AVR Design, serving multiple industry clients including HERO as a web designer and special projects. She worked with the American Journal of Health Promotion as the Director of Marketing. Pat has her MBA from the University of Phoenix and a BS from Boston University. She is an avid swimmer who still competes in Masters swimming and open water racing. Pat likes to keep a bicycle “peddler” at her desk to ensure she gets some activity in even when tied to her computer. Emily Wolfe is HERO’s Project Specialist, providing support to the Committees and the various projects that the committees produce. 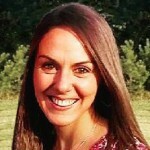 She is a Licensed Clinical Social Worker and Certified Professional Health and Wellness Coach. 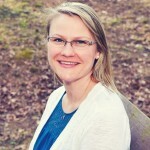 Emily received her master’s degree in social work from UNC-Chapel Hill with a concentration in adult mental health. 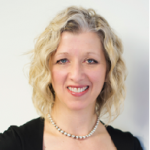 She has experience working in hospital settings including oncology and clinical care management, employee work-site wellness programming and both community and private mental health practice. Emily has interest in exploring the intersection of community health and workplace wellbeing as it pertains to mental health and the socioeconomic status of employees. On a personal note, she lives in North Carolina and enjoys spending time outdoors, listening to music and keeping fit attending classes at her local YMCA. She has a husband and two little boys! Life is busy and full of excitement! Barbara Tabor, APR, directs the communications and public relations strategy and initiatives for HERO. Her responsibilities include advancing the work of the organization and the industry through exposure in all categories of news media and on social media. Barbara has more than 20 years of experience in public relations, having worked on the corporate media relations team for Blue Cross and Blue Shield of Minnesota and in agency public relations as an account supervisor for Carmichael Lynch Spong, where she represented companies in manufacturing, automotive, food processing, restaurant and food service, and public safety. Barbara is a member of the Public Relations Society of America and the Women’s Health Leadership Trust. She volunteers her time to youth athletics in her hometown of Inver Grove Heights, Minnesota, and stays active by hitting the gym, yoga studio and local walking trails with her husband and children.